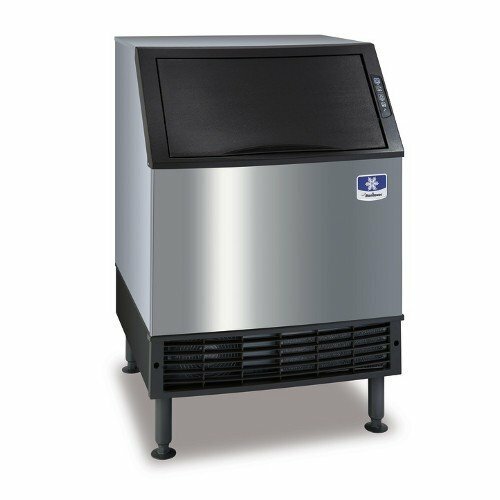 Everyone knows a rush hour crowd can deplete your precious ice; that's why the Manitowoc UY-0240A NEO Undercounter Ice Maker offers you a preventative product to ensure you can always keep your drinks ice cold. The cooling system is air-cooled and produces 200-300 lbs of half-dice ice in a twenty-four hour period. It also comes equipped with a self-contained condenser. This item is also complete with electronic controls. This ice machine is 38.50 inches tall, 26 inches wide, and 28 inches deep. This appliance is Energy Star-certified. If you have any questions about this product by UY-0240A, contact us by completing and submitting the form below. If you are looking for a specif part number, please include it with your message. Vortex Refrigeration Commercial 1 Glass Door, Black Merchandiser Refrigerator - 23 Cu. Ft.